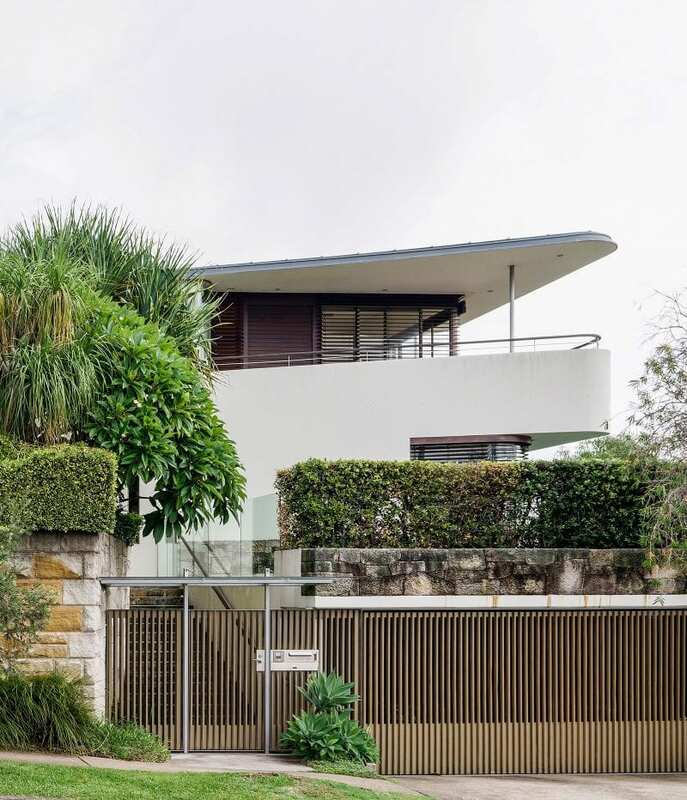 The seminal work that consolidated the fluid lines of Luigi Rosselli Architects in the new century was this Bayview Avenue, Mosman house. Fifteen years on it has been revisited and rephotographed by Justin Alexander and Jane McNeill. In contrast to the 2004 photograph shot by Richard Glover, it was not possible to take a full panoramic view of the whole house street frontage as the trees have grown significantly and now just one end is visible over the vegetation. 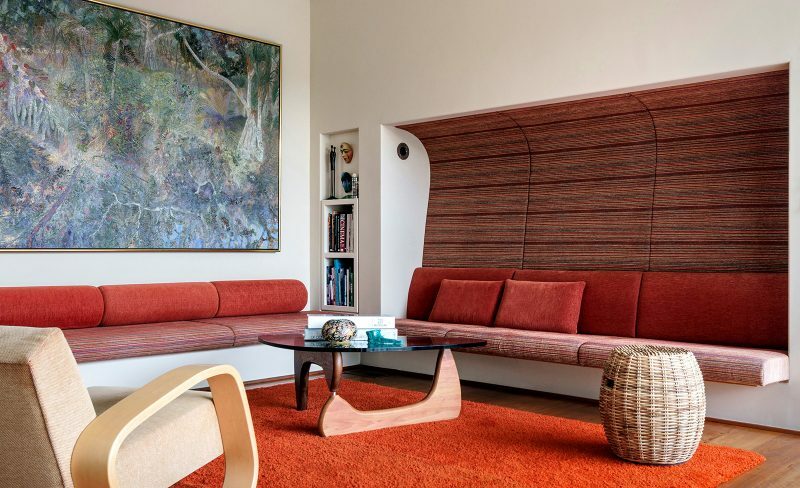 After dinner, one is invited to relax and digest in built-in benches and pews in the company of an Alvar Alto designed chair, an Isamu Noguchi coffee table and William Robinson’s dreamy landscape.